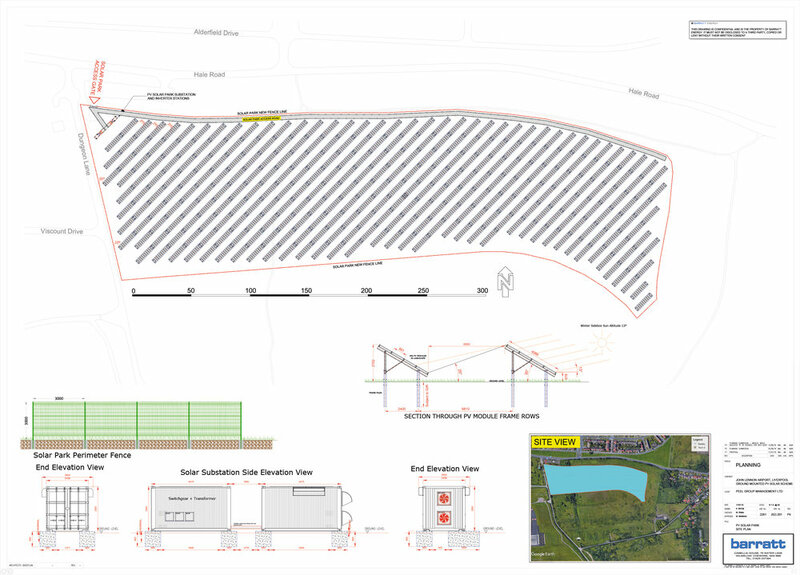 Peel Energy has applied for planning permission to Liverpool City Council and Halton Borough Council to erect a ground-mounted solar array on land to the east of Liverpool John Lennon Airport. The array will be inside the approved Runway Extension Safety Area (RESA) and the eastern end of the main runway and will provide up to 3MW of renewable power directly to the Airport. The application (Halton Council reference 18/00513/FUL) is a comprehensive submission, including information about ecology, noise, visual impacts and ground conditions. The prospect of using renewable energy to service the Airport was promoted as part of the Airport’s “Master Plan 2050” which was widely consulted upon last year. A decision is expected no later than early 2019.